Wilfred Tearle 1896 of Bramley, Leeds is the immediately younger brother of Horace Tearle 1892 of Wortley, Leeds. You will find there the common threads of their story, as well as their family history. Horace joined the Yorkshire Hussars, so the two men did not have to share the horrors of the battlefield with each other. The writers of the National Roll captured Wilfred’s story, but for some reason did not retain their copy of Horace’s, if we assume that someone told them. Both these men had a war of nightmare proportions and this is the extent of Wilfred’s: Ypres in Belgium, Albert on the Somme, being wounded twice in one battle and then in another. When you watch newsreels of WW1 soldiers running over the parapet of their trenches, charging towards the enemy (and often only walking) wearing a tin hat for protection and carrying a .303 rifle with bayonet fixed, you know that no-one in his right mind would ever do such a thing willingly, but Wilfred did it multiple times, and at some cost to himself. If we have a quick look at the 1911 census, again. you will see that Wilfred is a cloth finisher, most likely in a woollen mill, where they used combs to tease out the surface of the cloth. It is not without its dangers, in comparison with mining, but freely rotating wheels and long leather belts that swished about in the air were a constant menace. Nothing to guard them from hitting the workers, of course. If National Roll had not written about Wilfred, I would never had known he had a military career, except for an enigmatic medals card, that awarded no medals. He arrived in France on or about 13 July 1915 and he was finally allowed to go home in June 1919. Most other soldiers were allowed home in January or February 1919, but I suppose it may have been something to do with the conditions he signed up to that held him back, probably helping to clean up the mess in Europe. 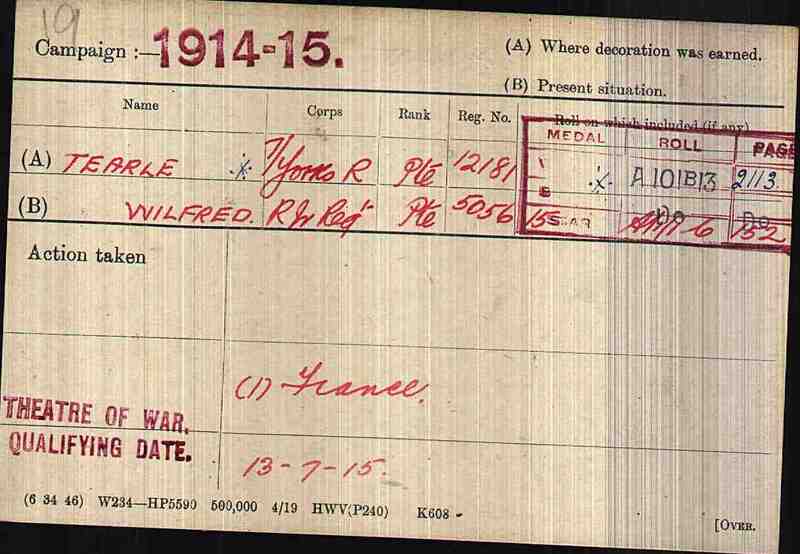 From this card, we can safely say that Wilfred was awarded the 1914/15 Star, the Victory Medal and the British Medal. The second regiment (I think it is the Irish Regiment) was a procedural transfer only. Many of the regiments that started in the Great War were so decimated at the end of it, that their headquarters were amalgamated into offices large enough to accommodate the staff needed to process the demobilisation of several million men coming back to England. I doubt that Wilfred ever met a single soldier of the Irish Regiment. St John the Evangelist, Wortley-de-Leeds. And who should be a witness at his marriage? Horace. The two families at this wedding are working-class to the core, Wilfred is a cloth presser, his father is a miner and Dorothy’s father is a book-maker. I do not think you will find him in a shop or a factory, you will find him at the race-track and the dog-track. Wilfred and Dorothy had just one child about whom I know very little; Wilfred Bryce Tearle, born in Bramley, Leeds in 1924 and died in Blackpool in 2003. Wilfred’s injuries would have had a profound effect on the rest of his life. The pain of those injuries would have dogged his every move, and the nightmares occasioned by the dreadful things he had seen and done would have accompanied him to bed every night of his life. Dorothy must have been an angel. I’m afraid I have no knowledge of when he died, the Yorkshire authorities are always changing Tearle into something else – Teale, Tearly – whatever name it might be, I cannot find it. If anyone knows the story of Wilfred and Horace better than I do, please contact us using the email address on the Contact Us page; I would be very happy to fill out this story with much more detail. 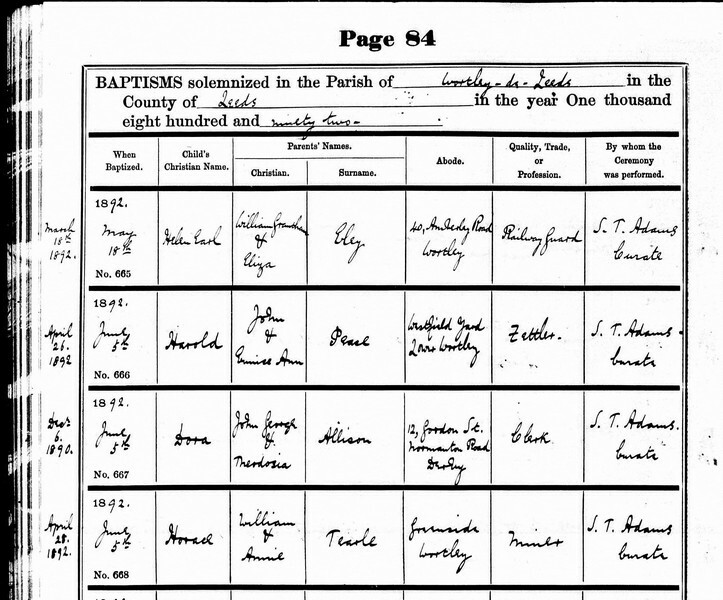 There really is a parish called Wortley-de-Leeds, and it was in St John the Evangelist Church of that parish, little Horace Tearle was baptised on 5 June 1892. The fear of babies dying drove Victorian parents to the the church as soon after their baby’s birth as possible. The church records show Horace was born on 28 April 1892. That is how anxious they were. At the time of Horace’s Christening, William 1859 was a miner in Fromeside, Wortley, Leeds. To put this family in context, William Tearle 1859 of Bramley, Leeds, married Annie Lee Lavers on 21 October 1882 in Wortley, Leeds. His parents were George Tearle 1825 of Leighton Buzzard and Maria nee Franklin. George and Maria’s first child, Julia, was born in Leighton Buzzard. Their next two children, James 1852 and Edward 1855 were born in Chipping Norton, Oxfordshire, and this James married Mary Abigail Ryder in Bramley, Leeds in 1875 and then emigrated to Australia in 1883. George and Maria moved to Leeds in about 1856, and the rest of their family – George 1857, William 1859, Elizabeth 1862 and Harry 1864 were all born in Leeds. George’s parents were Joseph Tearle 1803 and Mary Ann nee Smith. This is the family who moved from Leighton Buzzard to Preston and started the Preston Tearles. As you can see, George did not follow them to Preston, Lancashire; he went to Leeds, in Yorkshire. Charles 1894 of Preston and Horace 1892 are second cousins. The parents of Joseph Tearle 1803 were Richard Tearle 1778 of Stanbridge and Mary nee Pestel, and Richard’s parents were Joseph 1737 and Phoebe nee Capp. Thus, Horace is on the branch of Joseph 1737. In the 1800s we were living in the grip of the Industrial Revolution, where some families made vast fortunes, whilst their factories blew contamination into the air, poured pollution and poison into the rivers, and allowed their workers’ conditions to be little better than slaves. No wonder their babies died. It was also a time of upheaval and mass migration. As mechanisation modernised farming, and fewer labourers were needed, so the farming life became untenable when people could no longer make a living from the land. It is a poignant reminder of the life they left behind; far from rural Bedfordshire, William was a miner, and George, who had been an Agricultural Labourer, was now a “labourer in a brick works.” Annie, the local lass, cannot write, but William signs in a beautiful copperplate hand and one of the witnesses is his brother James’ wife, Mary Abigail nee Ryder. Within a year, they would be in Australia. 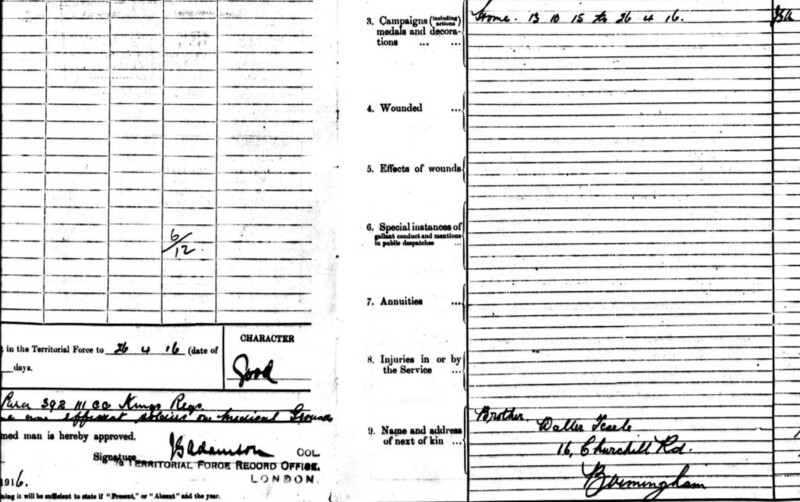 The 1901 census, above, notes that William is a coal miner, and son James is working in a wool factory. You will have noticed that William and Annie’s first child was called James, no doubt after William’s favoured elder brother. Horace is eight years old. The 1911 census tells us (as usual) quite a lot more. But amongst all the data, William, James and Horace are “Below ground” miners. Unfortunately, William and James do not tell us their exact roles in the mine, but Horace does. He is a “hurrier.” His role was to pull heavy carts of coal along the underground pathways to exits where the cart would be winched to the surface. The hurrier was tied to the cart with a heavy chain, and usually, at the other end of the cart, there would be a girl who was the “thruster,” pushing the cart with her hands and forehead, usually while kneeling. She would lose her hair over time due to the pressure of the cart on her head. Fortunately, Annice and Wilfred are in cloth-making factories, rather than the dreadful life girls had underground. Still, working in a factory was a job of long hours, low pay and awful working conditions. It is nice to see that all the younger children are at school, because in the 1840s children as young as five years old were working underground, in mines. Also in this picture of 1911 is Horace’s immediately younger brother Wilfred Tearle 1896 of Bramley, Leeds. He would share Horace’s story. Goodness knows what drew Horace into The Great War, perhaps getting out from under ground to help in the developing adventure in Europe might have been a pull, or he was volunteering before he was conscripted? For whatever reason, Horace signed up on 4 Oct 1915 (the day he attested for “4 years service in the United Kingdom”) a full five months before conscription was enforced in March 1916. He was given the number 3398 and was inducted into the 3/1 Yorkshire Hussars. He was 23 years old, 5ft 6in tall, he had good vision and good physical development. He was kept on “Home” duties, meaning anywhere in the UK including Ireland, and during that time he married Annie Elizabeth Peat, on 3 June 1916. Married life came to an abrupt halt on 10 Nov 1916 when he boarded a ship in Liverpool, bound for Greece, which arrived in Salonica on the 21st. He was in the MEF, the Mediterranean Expeditionary Force. Fortunately he was a few months too late to join the action in Gallipoli, but he would have been told that his role was in warfare over Greece, the Balkans and Turkey. The fact that the order is stamped on his record shows us that this was a common event. He was posted to other units – the Royal Dragoons and the Derby Yeomanry, but he was moved on – somehow he did not fit their needs. He was finally transferred to the Labour Corps. When he was well he could work, and when he was having a malaria “turn” he could rest. On 2 Nov 1918, he joined “A” Company, the Labour Corps. He would be used to move goods and clean up after the war. Armistice day arrived on 11 November 1918, and Horace’s service was reviewed. He had enlisted on 4 Nov 1915, been in the MEF from 10 Nov 1916 to 10 Jun 1918 and then on “Home” duties until 7 Nov 1918, a total of 3 years and 35 days. During that time, Horace was transferred to Aldershot Barracks, in Hampshire. In August 1918, with too much time on his hands, Horace got into a drunken state and overstayed his leave by almost half a day. He was loudly admonished, and given three days confined to barracks as a punishment, and probably sent on parade-ground cleaning duties. It was the only blemish on his military record. On 7 Nov 1918, Horace was transferred to soldier class “P”. He was now the reserves, he could go home, but he might also be called up at any time until his four years was up. To all intents and purposes, he was free. Here is his medal card, which shows that the Labour Corps (his last unit) had gathered sufficient information to award him two service medals – the Victory Medal and the British Medal. In 1922, Horace signed for the receipt of his medals. With his malaria always threatening, and boiling over at times, it must have been difficult for him to accept that this is all he got for the pain he would endure for the rest of his life. I know very little about what happened next, except that he and Annie had a girl, Joan, in 1920, and that Horace died in 1929, just 36 years old. Malaria still kills millions of people each year, and Horace’s fight with it in the 1920’s would have been difficult, and often very painful and debilitating. It is a very sad end for a man who had hoped for so much more. For a very long time, only two sets of records existed for Montague Tearle; his marriage in the third quarter of 1915 to Lilian A Boulter in Derby, and his death in 1939, aged 63, somewhere in Hackney, London. There was no record of a birth certificate. The second set was from Chelsea Hospital, and consisted of his military and health records. He enlisted for the army on 10 Oct 1915. The recruiting officer wrote his name as Montague Tearle, but his signature was Monty Tearle. He was given the military number 5006 and on attestation day he was put in the 19th (County of London) Battalion, The London Regiment, headquartered in Camden Town. Monty’s home address was 10 Nelson Street, Derby. 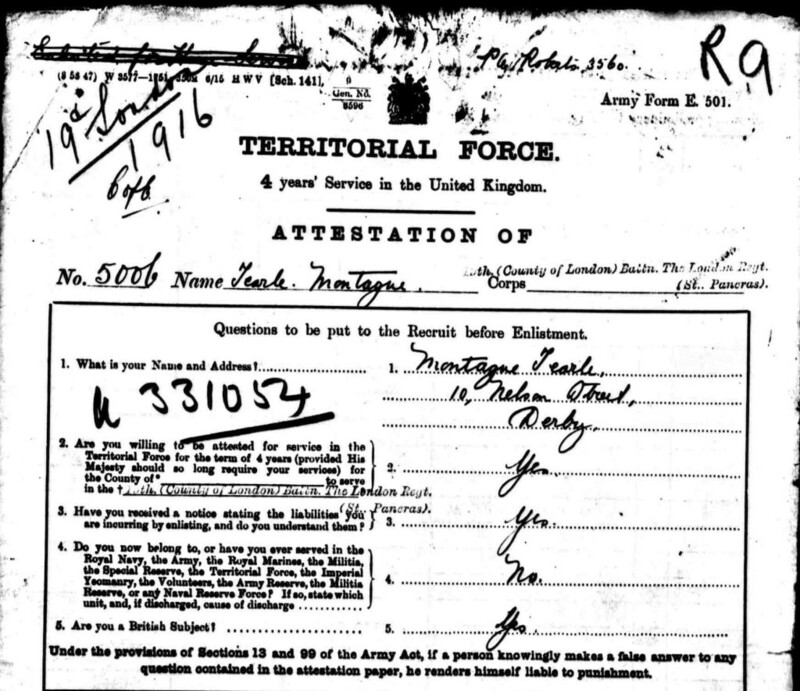 The second page of Montague’s army record was his Medical Inspection Report, which was conducted on 23 Oct 1915. He was 38yrs 6mth old, 5ft 10.5in tall with a 37in girth he could expand and contract by 2in. His vision in both eyes was 6/6, and his physical development was good. He was pronounced fit for service, subject to some dental treatment. The third page recorded his acceptance of the service obligation – to serve anywhere he was posted and in whatever corps he may find himself at any time, subject to a condition placed on the army itself not to post him on any transfer where he would suffer a loss in pay. He duly signed that one. However, Montague did claim for pension: The next document from Chelsea Hospital was dated 29 June 1916 with a determination made on 15 July 1916 – Montague Tearle 5006, with regard to claim for pension: Rejected. What was he thinking of? All claims to pension were based on the number of days a soldier was in the army, so long as he had a posting abroad. Montague would have known that – he was trying it on. 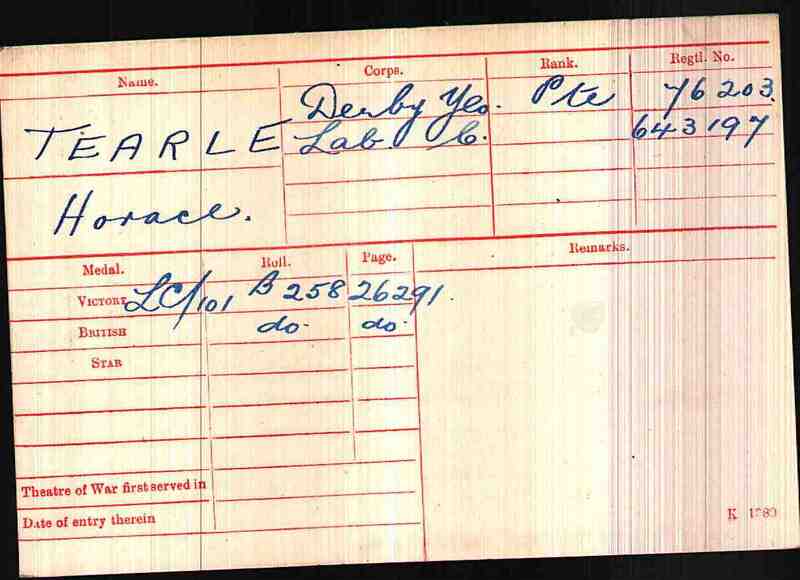 He had another go in 1929 – the last two documents are from Chelsea Hospital and they record a request for information from the Kent County Police on 1 Sep 1929 to the London Infantry Record Office stating that Montague Tearle was under the care of the doctor in charge, British Legion Village, Preston Hall, Aylesford. “Some doubt exists as to the genuineness of this case, and I shall be glad if you would furnish me the particulars of … his service, and his description.” On 6 Sep 1929, the Chelsea Hospital received the form requesting the discharge documents “for the purpose of being annexed to his later Discharge to pension.” It would appear he was again claiming his pension, hoping that time had dulled the bureaucrats, or he was trying to stay in a soldier’s care home to which he only had access if he was on pension. At first appearance, Montague’s request to join the army seems to be for the best of motives – he was 38yrs old and he was going to fight for his country. But in the light of his later activities this impulse looks a little less than the self-sacrifice he intended it to appear. He gets free dental treatment on the army and for 197 days he was quartered for free, as well actually being paid. He does not appear (and neither does Walter Tearle) in any census from 1880 to 1911. There is no birth record for a Montague Tearle and all the Walter Tearles (nine of them) are accounted for in other families. Ten years after Montague and his very reticent (not to mention almost invisible) brother came to light, Barbara Tearle of Oxford unearthed some newspaper clippings that recorded some of Montague’s activities. They are not pretty. Cyril Dudley Vincent, a music hall artist, was in the Bath City Police Court for having produced documents to back up a claim of having money, and asking for a loan on the strength of the documents. He raised the loan, but couldn’t pay the lender, hence he landed in court on charges of false pretences. The name on the letter was Montague Tearle, who said Cyril was a property-owning gentleman. It turns out that Cyril in the dock, and Montague on the documents, were the same man. Montague never has any money, but he lives the life of a gentleman of quality. He uses the conventions of the gentleman to con the unwary and the trusting. We can see, above, that Montague joined the army in 1915; in the light of just this one conviction, it would not appear that the army was too concerned about the moral or criminal behaviour of its recruits for the Great War. The Theatre Royal in Blyth, Northumberland, was opened in 1900. It was a well-known and well-respected local institution by 1917, when Montague Tearle became its manager. This report in the Morpeth Herald, which often had articles on Blyth, centres on Mr Tearle’s capacity as a very popular man who raised the considerable sum of £10 3s 6d for a local military charity. Mr Tearle, it was noted, was the son of a most famous Shakespearian actor, Edmund Tearle, who had played to Blyth audiences in this very theatre. Mr Tearle’s role as an ex-soldier in the Pals Battalion of the London Regiment was noted by the gold braid badge of honour on his sleeve and the stories of his exploits since 1914 in the Great War, where he had fought in the Battle of Loos in France, been injured and gassed and finally passed out of the army due to ill health. Sadly he was leaving the Blyth Theatre for the Raynor’s Repertoire Company as General Manager. He was later presented with a handsome silver Treasury note-case by a group of military officers. It is quite likely that none of this is true; Montague was probably not the manager of the Blyth Theatre Royal, and the paper has not checked his assertion. He has raised £10 3s 6d and equally probably kept it all. He is not the son of Edmund Tearle of Leighton Buzzard, who was indeed a famous actor/manager but he is very keen to trade on Edmund’s name. Within nine months of leaving the army, he has literally embroidered his jacket cuff to embellish his story as a Great War veteran. As we know, he was never in France, never gassed, but he was invalided out of the army – one tiny fact to ground all the war stories he is happy to relate. He is leaving Blyth in a hurry, and stole a silver Treasury note-case on his way out. If we take another look at the 1907 court case, there are some similarities, which show a pattern in his behaviour – he is always in theatre, sometimes a manager, an actor, or an agent. This is why he has adopted the name Tearle: his contemporaries are George “Osmund” Tearle the actor/manager, Osmund Tearle (son of George) the actor manager, Edmund Tearle the actor/manager and possibly by now some whispering of the genius of Godfrey Tearle (born 1884) also making his way towards theatrical fame. The name is beginning to have some credibility. Montague Tearle, aged 46, of Leicester, a theatrical agent, was in the dock at the Bucks Assizes, charged with the theft of 8 Treasury notes valued at £5 10s, a 10s Treasury note and 7s 6d from various people overnighting in the Railway Hotel, Linslade. He was found guilty because everyone who had been stolen from had wax droplets in their room, and Montague was the only person who had a candle. The judge noted that between 1892 and 1905, Montague had been convicted in various courts no less than 15 times. Since 1905, he had been imprisoned for two terms of five years and there were other terms of imprisonment with hard labour. The prisoner wanted another chance, saying that his offending was due to the difficulty of finding work, and that he was very sick, spitting blood, and wanting to get back to Leicester. The prison governor said his sickness was due to refusing to eat while he was in prison since 31 August, awaiting trial. The judge sentenced Montague to twelve months in prison. This story was gleefully retold by The Northampton Mercury on Friday 21 October under the headline TRACED BY CANDLE GREASE. Montague has even gone to Leighton Buzzard, the home of Edmund Tearle. What did they think there of a man claiming to be Edmund Tearle’s son, but speaks with a Yorkshire accent? Has he borrowed someone else’s accent as well while he is in Bedfordshire? The story above would be amusing if it wasn’t at the same time quite tragic. Montague’s life is a mess; look at the sorry list of convictions the judge above has noted, and the two terms of five years in gaol. He is 46 years old, and he has spent no less than 10yrs in prison. If he is spitting blood, does he also have TB? The Leicester newspaper reported that Montague Tearle had appeared on bail in the Tamworth Borough Petty Sessions charged with arrears on an affiliation order. The arrears went as far back as 1918 and amounted to £60. Montague argued he had been very sick in hospital and in a sanatorium. He had found it difficult securing work due to his illness, but he thought he had a promise of work, and as soon as the doctor would allow him back to work, he would be able to pay the arrears at the rate of 10s per week. The mayor said the magistrates would give Montague the chance to repay at the stated amount. Leicester is where Montague has housed his wife – his very long-suffering wife, Lillian – and Montague is pointing to ill health as a reason for his misfortune. It is relatively true – surely you can’t blag your way out of a war-time army by feigning sickness. And it may also be true that sickness has largely prevented him from keeping a job, but perhaps also there is a moral sickness, and he just cannot help himself from seeking the rush of pleasure he must have felt when he successfully talked someone out of their money. Charged in the Ilkeston Police Court on false pretences. He had told the court he was a theatrical agent and was in Ilkeston on the chance of getting a job at the local theatre. He was remanded for a week. 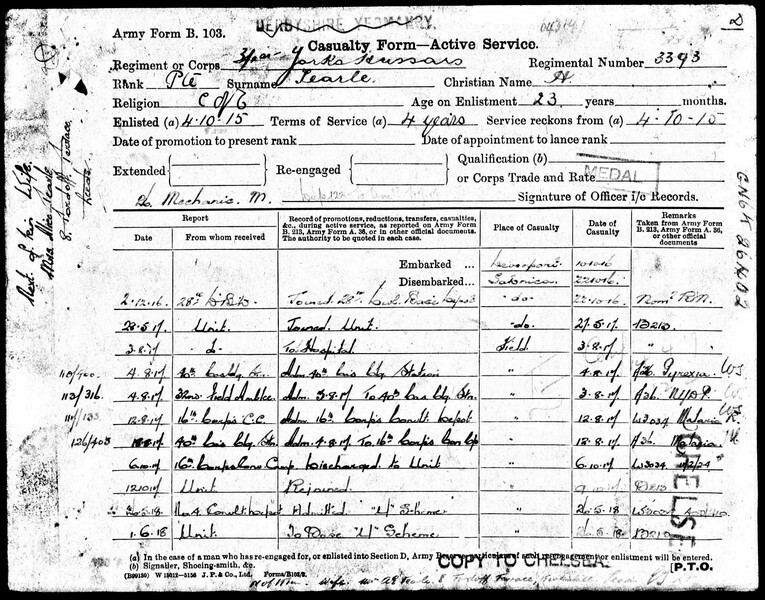 Montague’s marriage was in the Oct-Nov-Dec quarter of 1915 – around the same time he joined the army, and of course his address is Derby; that is where he was so recently married. Is it significant? Did Lillian have some savings? Or did he want the respectability of being a married man? In order to uncover the story of a person between 1841 and 1911, the censuses are a reliable and necessary resource. In this case, they provided conclusive evidence of Montague’s identity. Since Montague was born in 1874/5 he should have been in the 1881 census, and since he had mentioned a brother, Walter, then there should be a family containing a Montague and his brother Walter. There was no Montague Tearle, but there was a William Woollen born 1875 in Sheffield with an older brother Walter E Woollen. They are living with their parents, William J, 31, who was a silversmith born in Wath, Yorkshire and mother Lucy, aged 31, from Ince in Warwickshire. There are four Waths in Yorkshire, but we can safely say that William J Woollen was a Yorkshireman. William is 16 and he is a lithographer, Walter Edwin, the elder brother, is 19 and he is a warehouse assistant, while their father William James, now aged 41 has given up silversmithing and he has become a journalist. Walter Edwin is 29, a warehouse sales assistant, and he has married a girl from his home town of Sheffield called Alice Maud Kenyon. Alice’s father and sister are living with them. Walter’s own father William J, who has returned to silversmithing, and mother Lucy E are living in Albert Road, Sheffield. There is no sign of William Woollen 1875, nor of Montague Tearle. Was he in prison? We now find out which Wath William James Woollen comes from: Wath-on-Dearne in South Yorkshire. He is 60 years old and still a silversmith. Lucy Ellen is 60, they have been married 39 years and had two children, neither of whom has yet died. Walter Edwin, 39, is a clerk in a motor manufacturer’s factory in Birmingham. He is living with his wife, Maud and a boarder, who is a fellow clerk from work. More importantly, the 1911 census gives us the final, unimpeachable proof of who Montague really is. His brother Walter Tearle who lives at 16 Churchill Rd, Birmingham is actually his brother, Walter Edwin Woollen. Montague is unmasked – his real name is William Wollen, born 1875 in Sheffield, the son of a South Yorkshire silversmith. There is absolutely no sign of William Woollen 1875, nor of Montague Tearle, in this census. Was he in prison – again? Not being in the censuses of 1901 and 1911 does not indicate that Montague was not working, nor was William Woollen completely buried as an identity. It is quite likely that Montague was either in prison, or he was being careful to stay away from the census enumerator. We can go full circle now: we can join up William Woollen, the boy in the working-class neighbourhood of 1881, to Montague Tearle, the ne’er-do-well of the newspaper reports and the army recruit of 1915. In giving his next-of-kin as Walter of 16 Churchill Rd, Birmingham, Montague gave us one small fact amongst all the distractions, and that one fact told us who he really was.